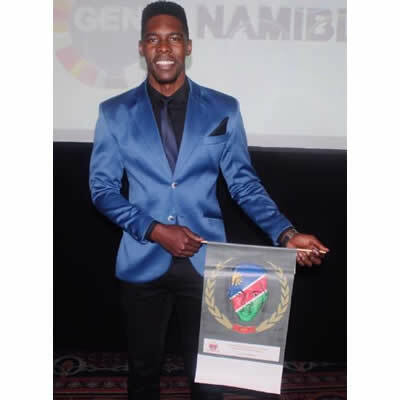 The former Big Brother Africa Hotshots housemate Luis Munana won his first National business award after being nominated as a reliable emerging entrepreneur. "All my business partners and I wanted to do was to grow the film, tv and fashion industry in Namibia. We did it out of passion and love for the game . We also wanted the rest of Africa to know what Namibia has to offer. Little did we know there are people watching us and taking note of our accomplishments as we build Rome brick by brick . I'm still overwhelmed at the award I received as an "Emerging Entrepreneur". Thank you once again #GENnamibia For giving me this award. I am truly humbled ! THE WORK HAS ONLY JUST BEGUN"